We have recently partnered with K&E Engineering who has designed and developed precise mounting brackets, all from a CNC machine. These new innovative products have positioned us as a premier trusted provider for your brake conversion set. 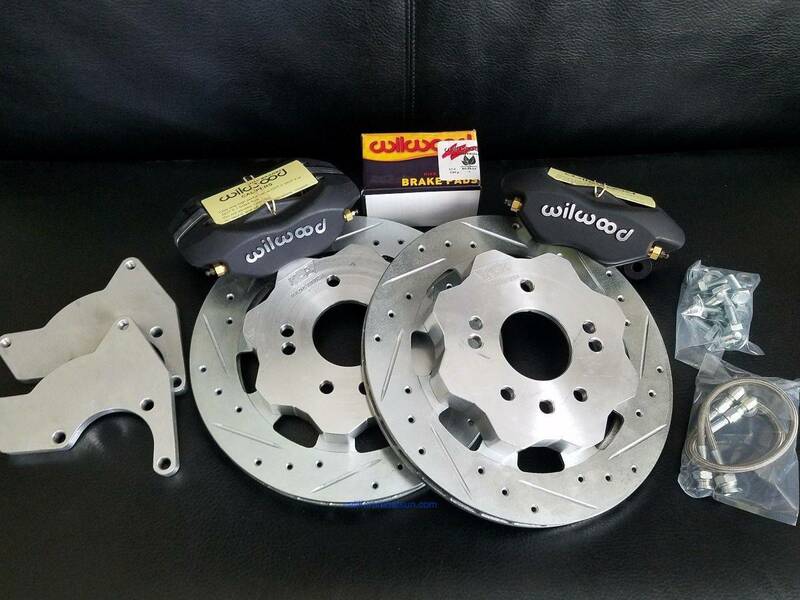 We only use aircraft aluminum material, excellent CENTRIC rebuilt calipers and rotors, or New Wilwood Brand Calipers and Rotors. Top it all off with perfect fit stainless hoses and all the correct mounting hardware. We even offer New 1" Bore Brake Master Cylinders to compliment your kit. We have kits for the 510, 240z-280Z and 620 Trucks. Need a kit for another Datsun? We offer full custom "one-off" kits too, just ask for a quote.